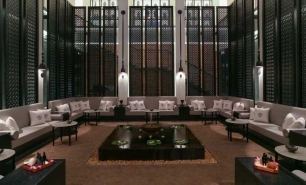 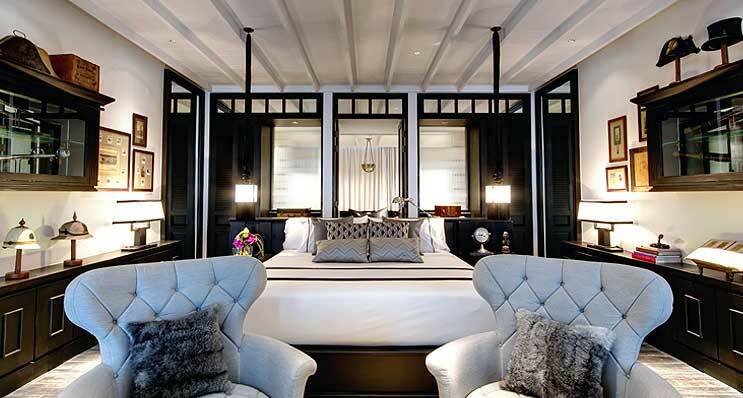 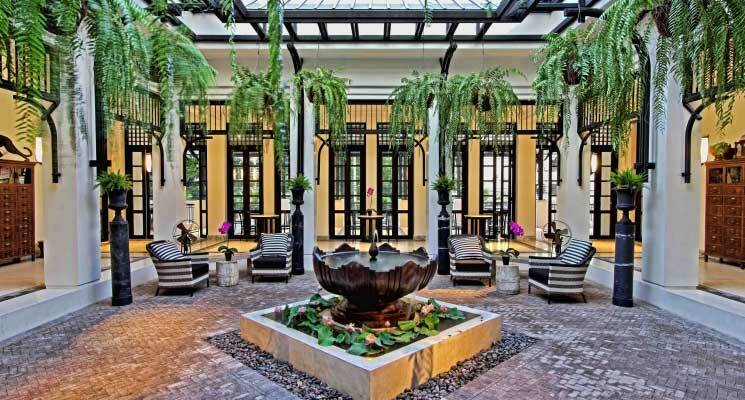 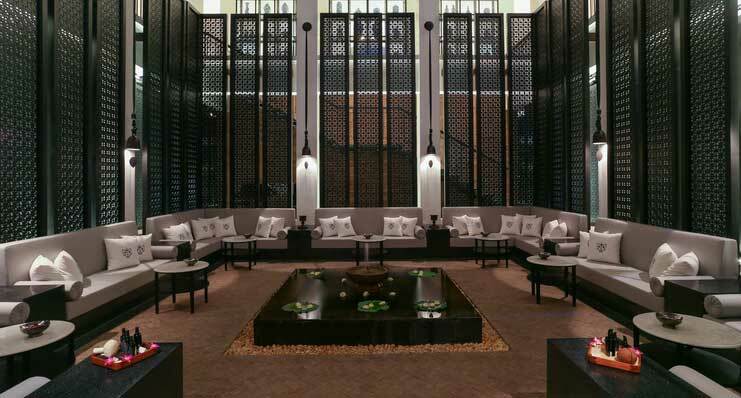 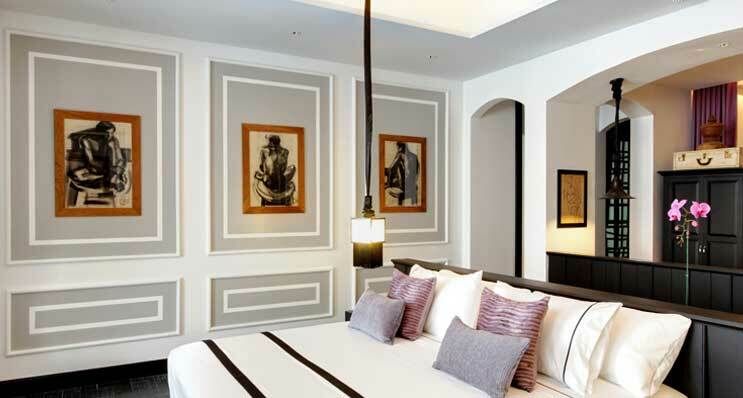 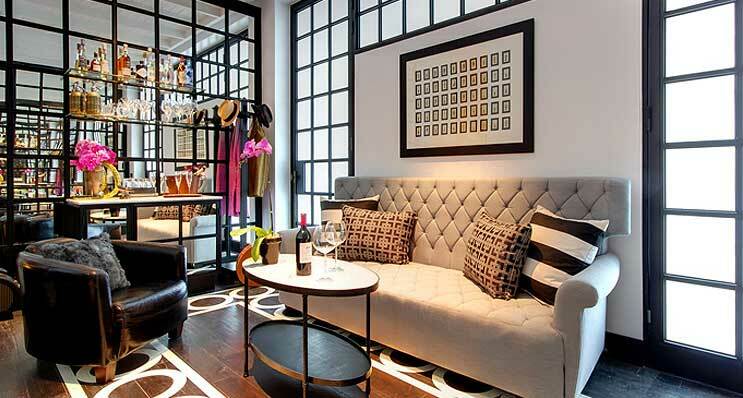 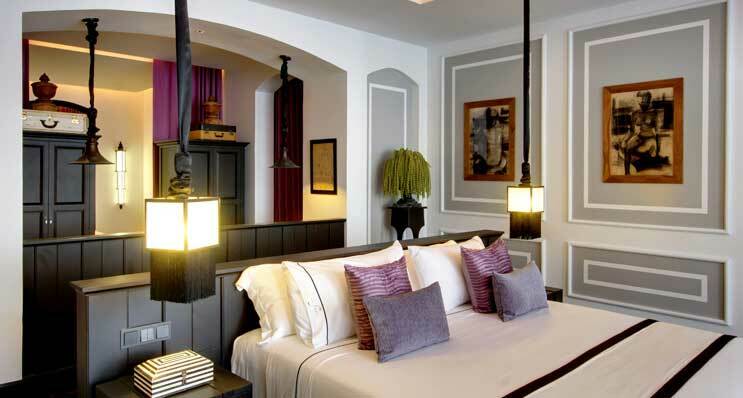 The Siam is the newest luxury boutique hotel in Bangkok. 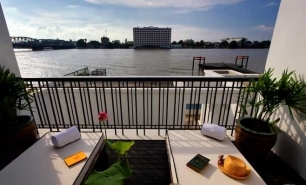 It is located right on the banks of the Chao Praya River in the Dusit district, to the north of the Grand Palace and the National Museum, and close to Dusit Zoo. 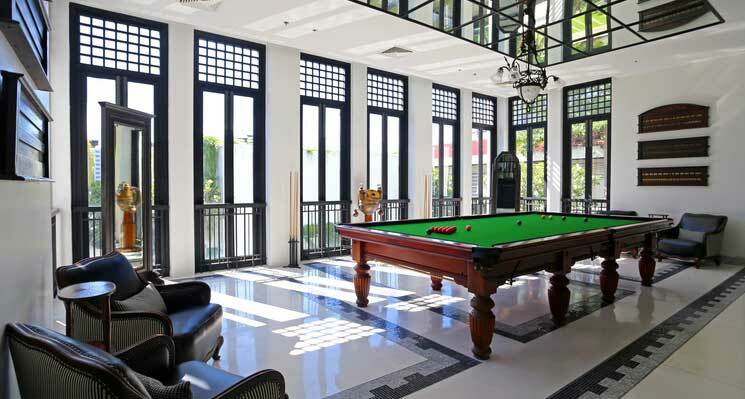 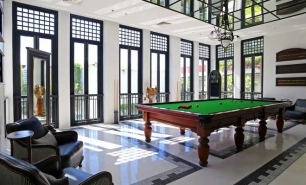 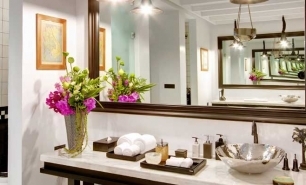 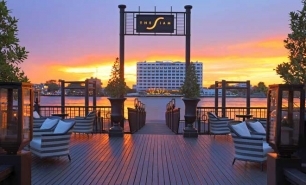 In the ever-busy Bangkok, it is conveniently connected to the BTS Skytrain and Bangkok hotels along the Chao Praya River via its private luxury speedboat. 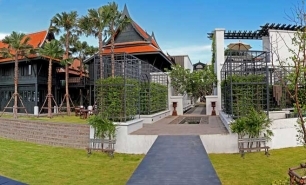 The hotel was designed by Krissada Sukosol Clapp, a local architect and a member of the Suskol family which owns the hotel; and Bill Bensley, a renowned landscape architect. 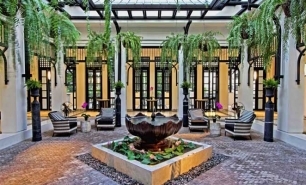 Its style is a combination of chic colonial with Art Deco influenced contemporary design, complemented by Bensley designed gardens and ponds which create a calm and peaceful atmosphere in the middle of the bustling city. 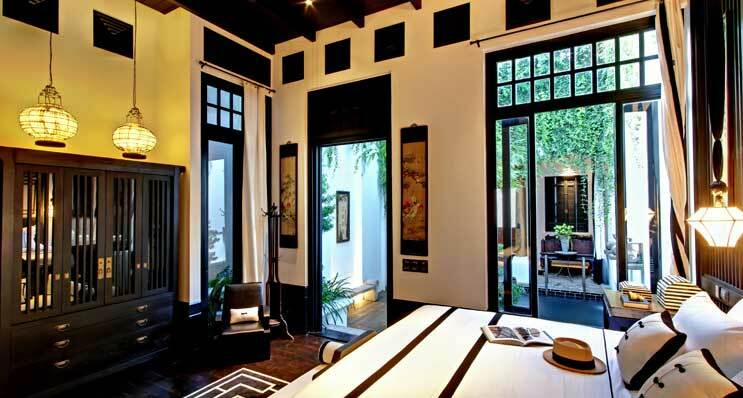 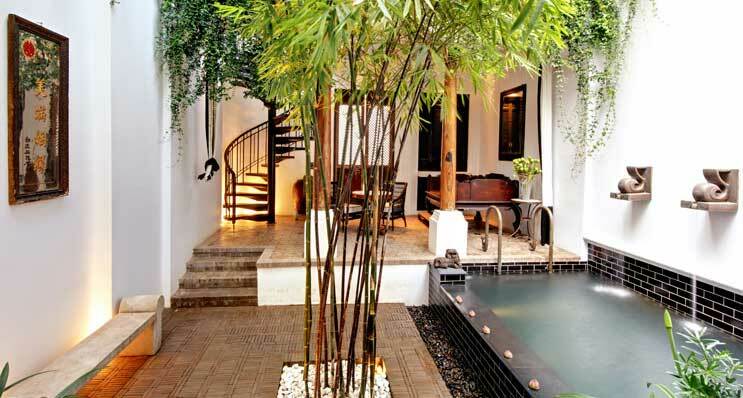 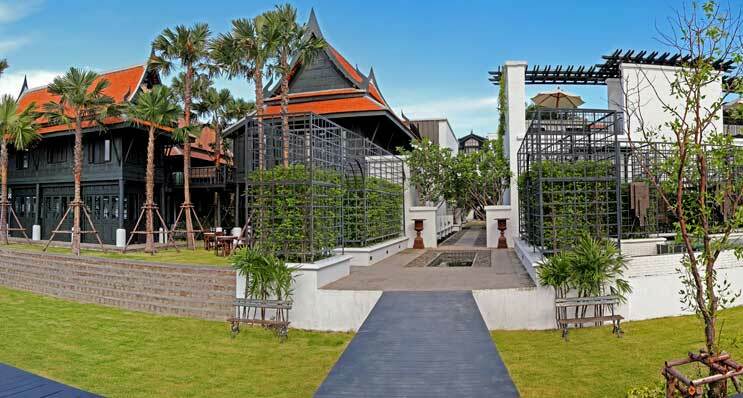 The Siam features 39 very spacious rooms, including: suites, pool villas, and the historic Thai House ‘Connie’s Cottage’. 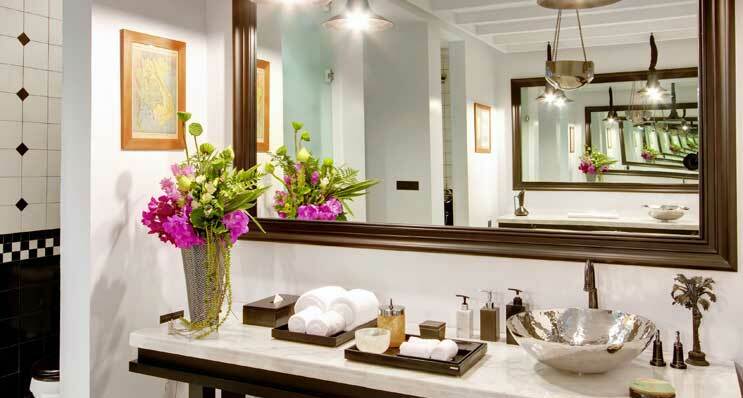 The rooms are equipped with all the amenities a modern global traveller would expect. 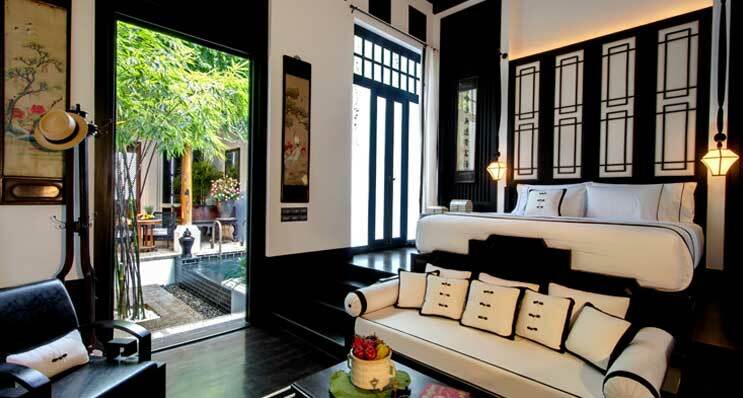 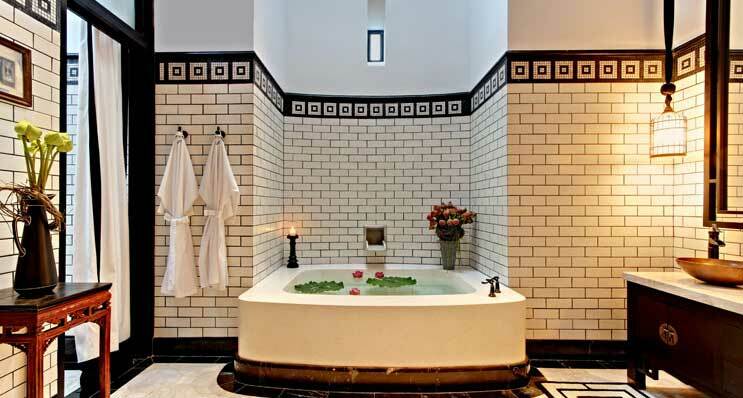 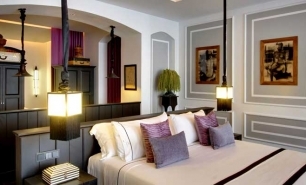 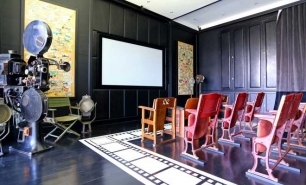 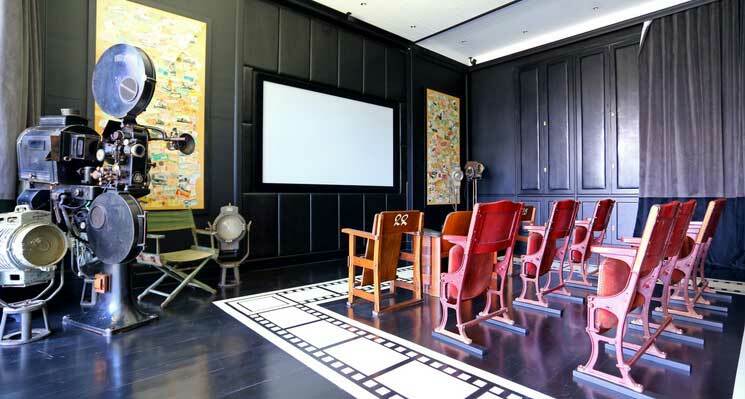 Each suite is individually designed with a unique theme drawing on Thai life, as well as original turn of the century oriental artwork and antiquities. 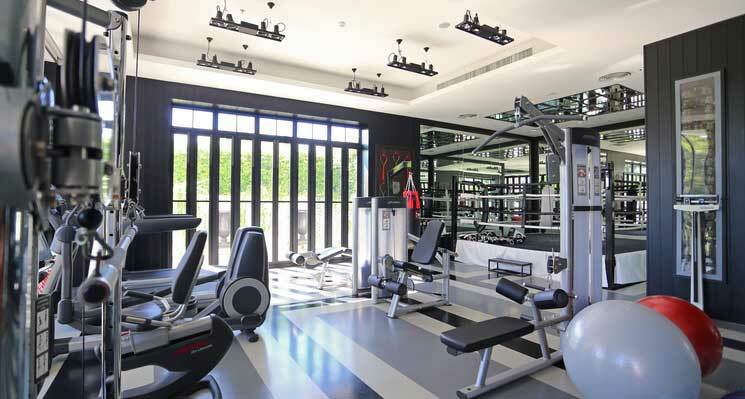 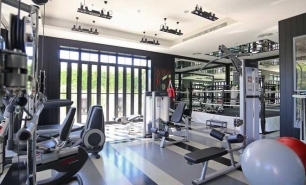 The Siam Suites (80sqm) and Mea Nam Suites (90sqm) are located across two floors in the Main Residence adjacent to the spa, with access to the gym, library, and meeting rooms. 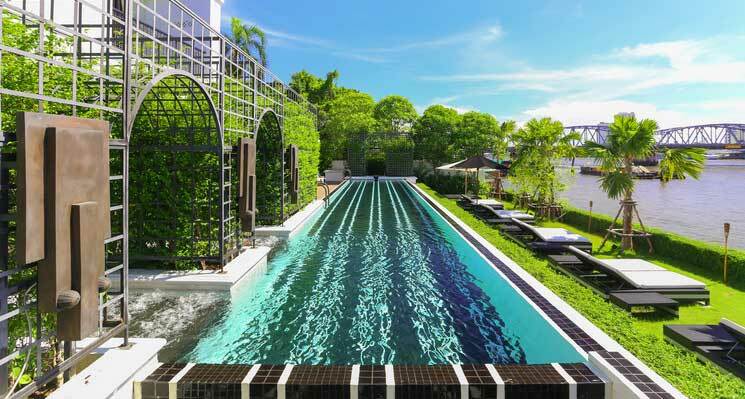 The Pool Villas (120sqm) are separated from the main building and have pools and intimate private gardens. 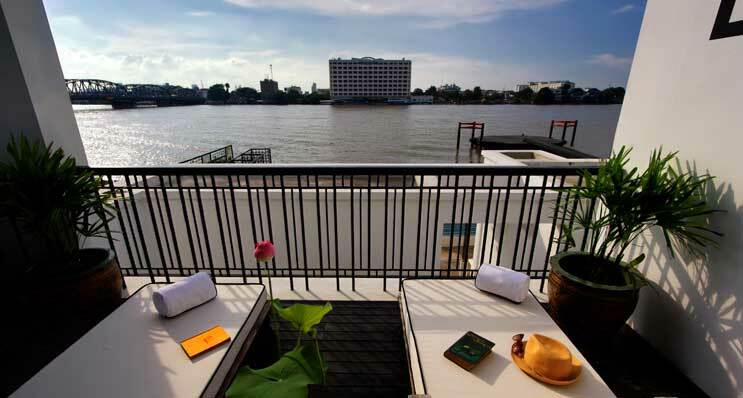 The Riverview Suites (100sqm) are located on the top floor of the Main Residence and offer excellent views of the Chao Praya River. 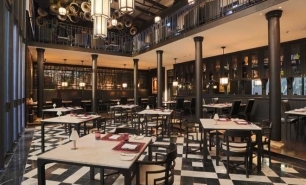 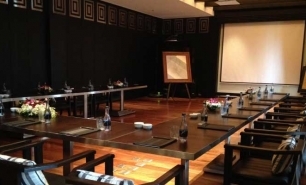 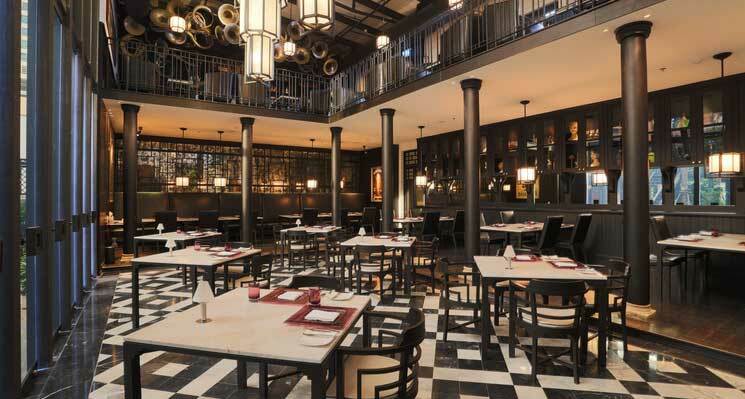 Deco Bar & Bistro is The Siam's main dining venue serving international dishes. 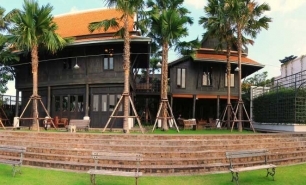 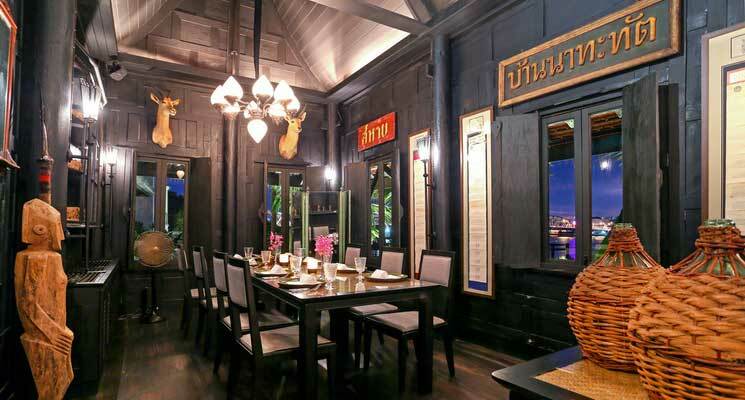 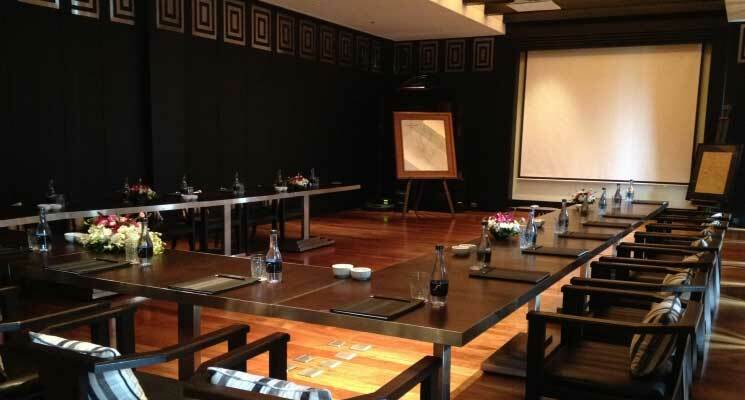 The riverfront Chon Thai Restaurant, the hotel’s signature venue, serves local Thai cuisine. 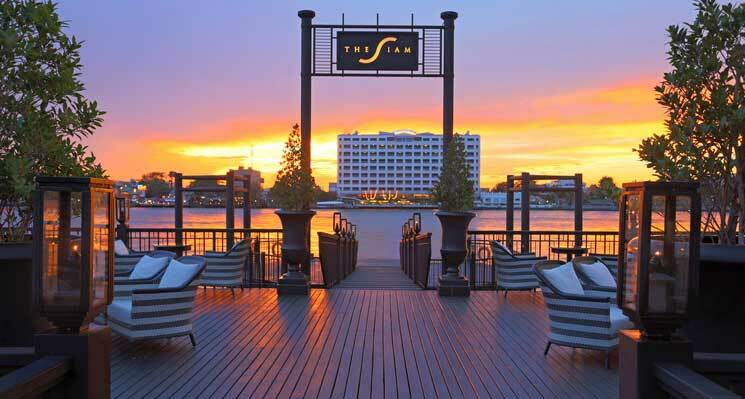 The Siam afternoon tea, sweets, and ice cream, are served at Cafe Cha. 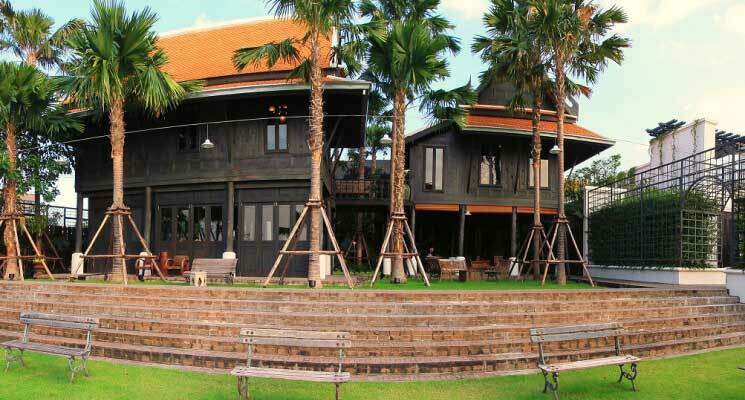 There is also Bathers Bar located by the infinity pool along the riverfront lawn.